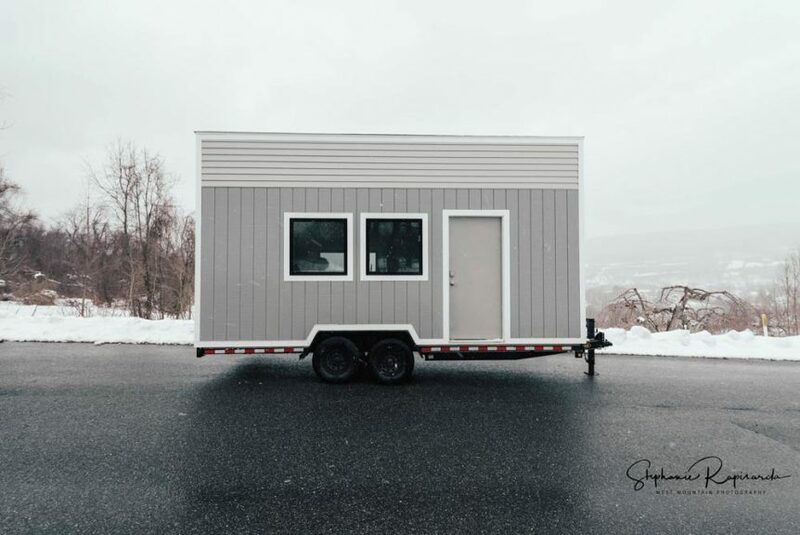 The Brodie is a mobile office/studio built by B&B Micro Manufacturing in North Adams, Massachusetts. 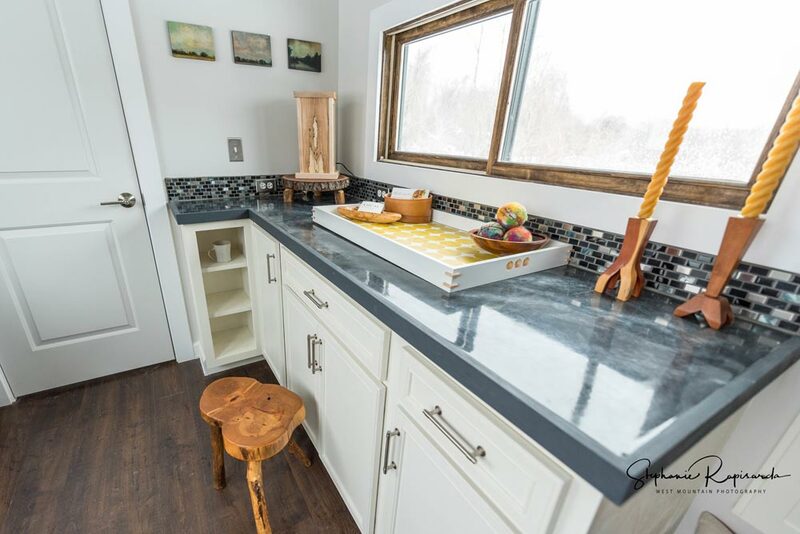 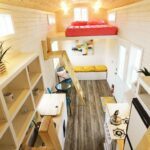 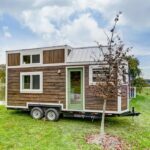 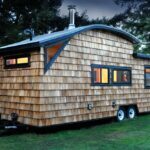 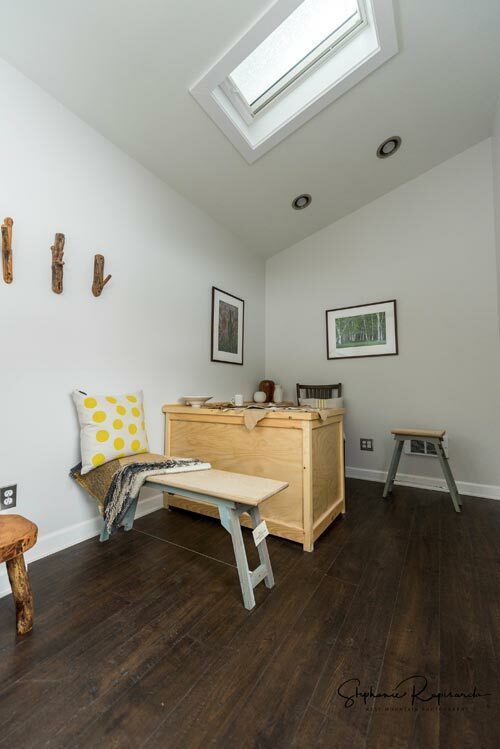 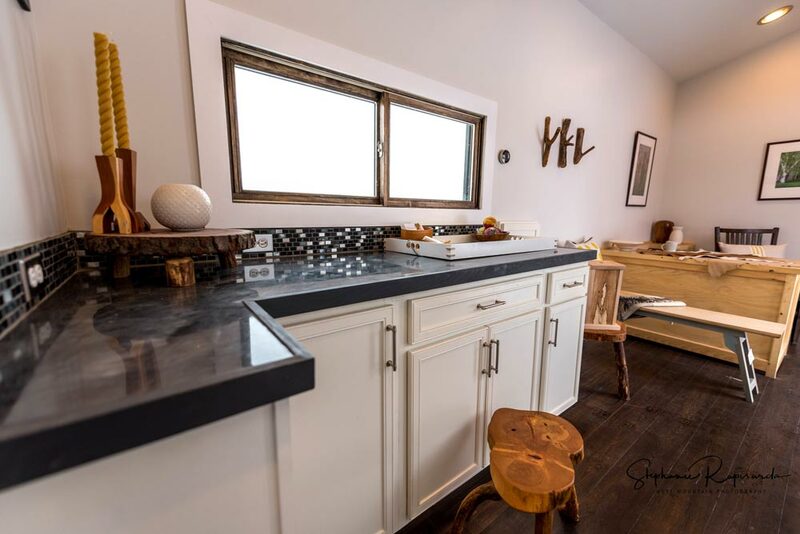 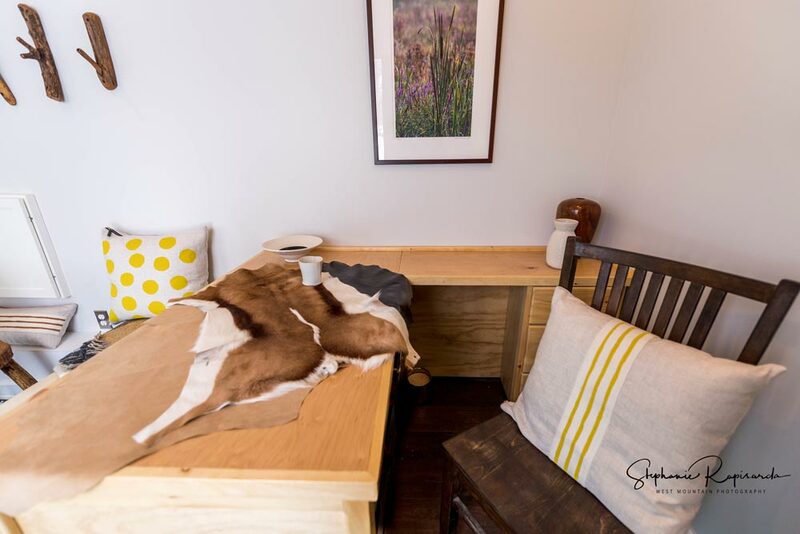 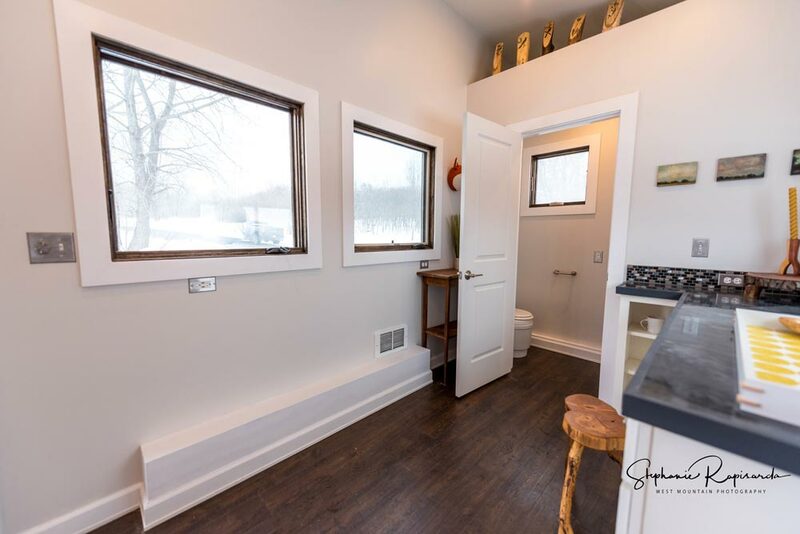 The versatile space can be used as an office, camper, backyard guest house, art studio, massage room, workshop, she-shed, mobile clinic, or green room. 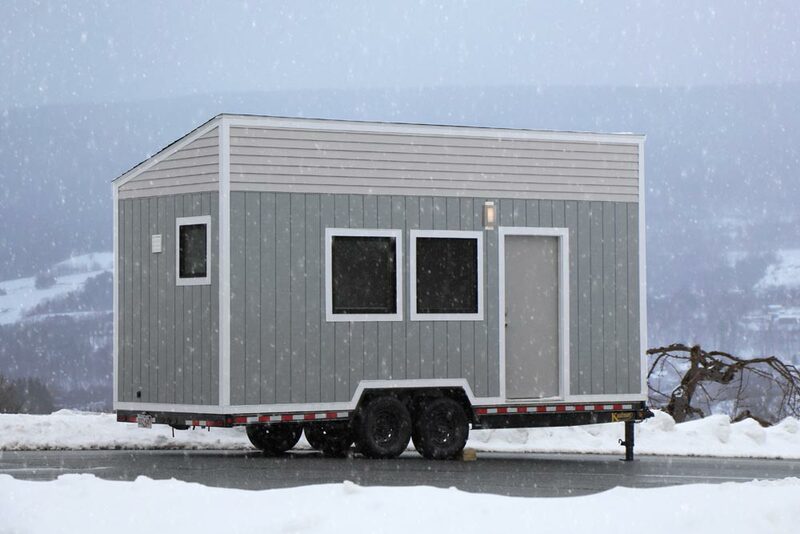 The 170-square-foot mobile office is 20-feet long and has a single-pitch roof with two skylights. 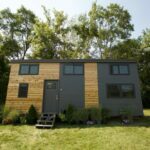 The exterior has a mix of vertical and horizontal gray siding with white trim. 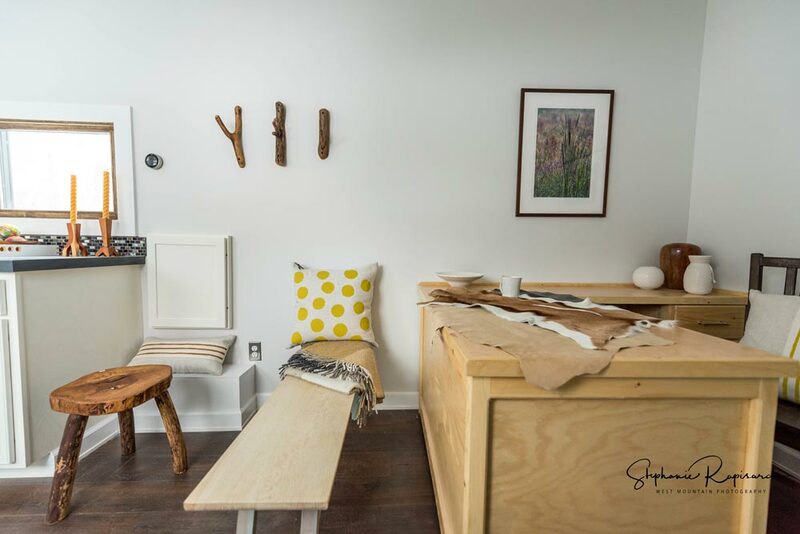 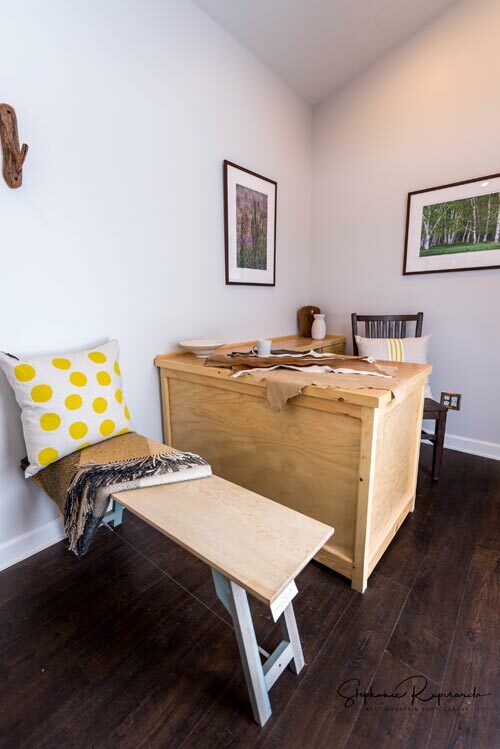 Inside the Brodie is a custom built desk, built-in cabinets, and a poured-in-place countertop. 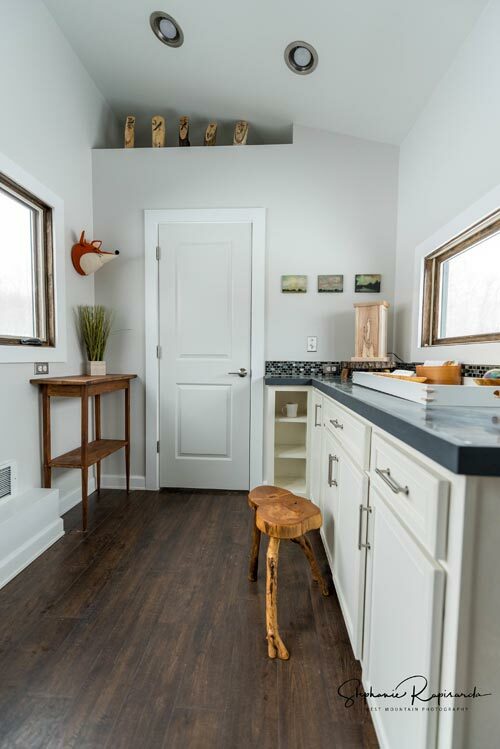 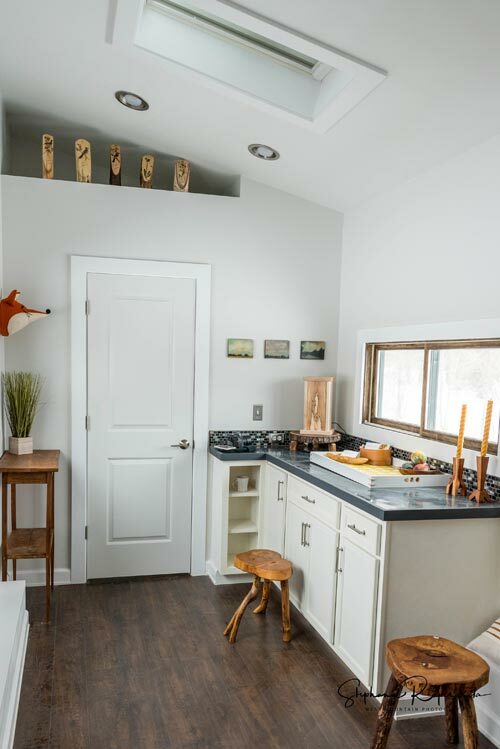 White walls open the space while dark wood vinyl plank flooring gives the space some warmth. 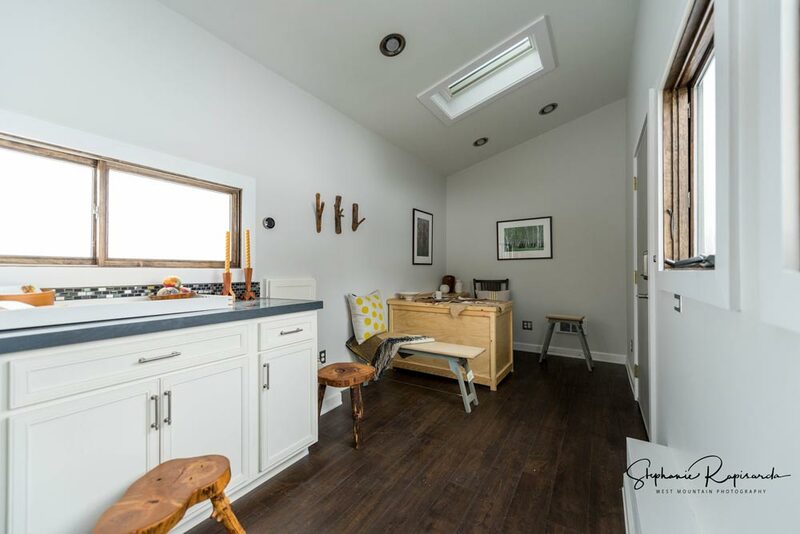 An electric in-wall heating system is included. 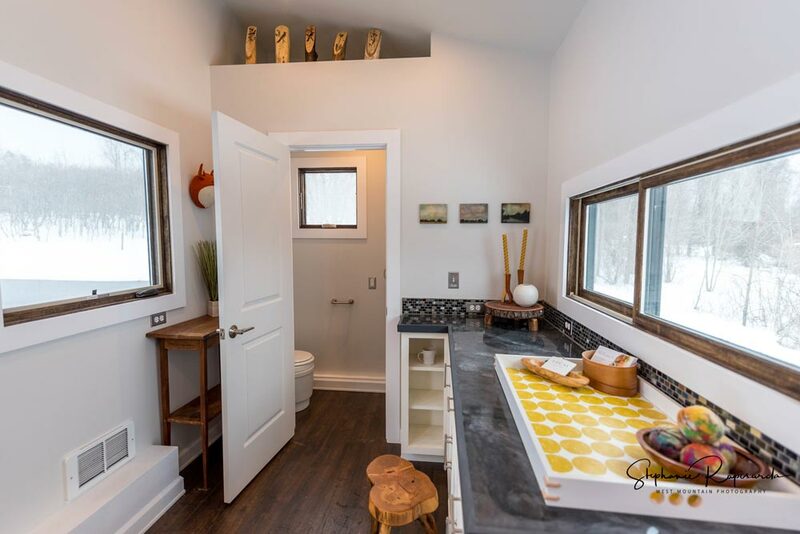 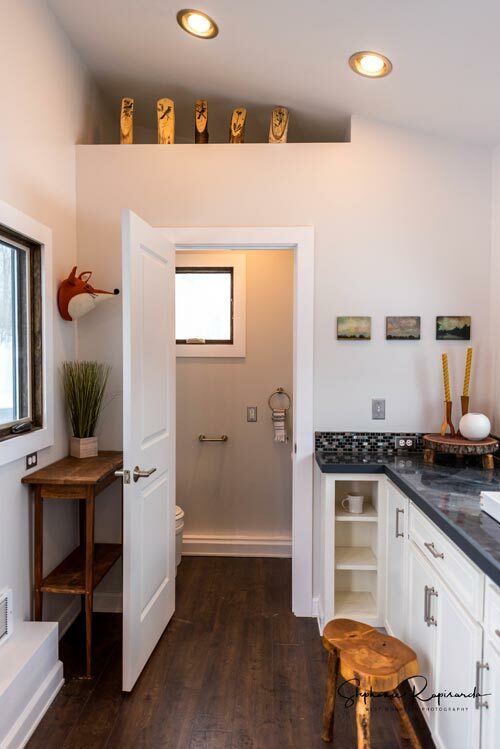 In the half bath is a porcelain sink and a dry-flush toilet. 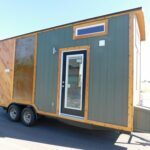 The Brodie is listed for $43,900. 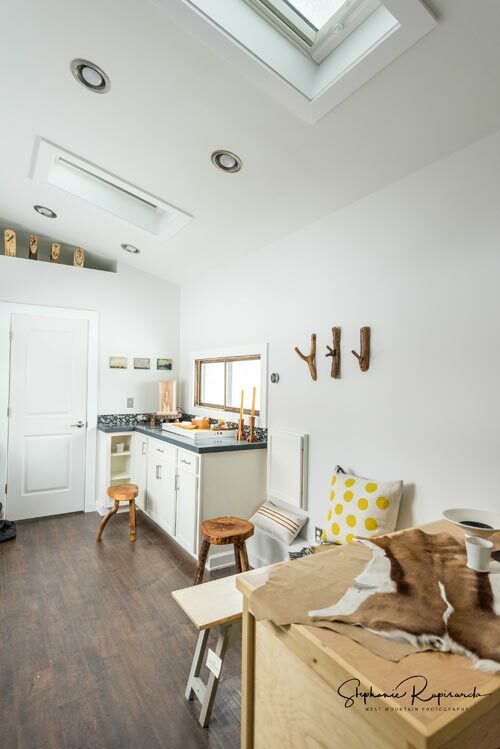 For more information about the Brodie, please contact B&B through their website. 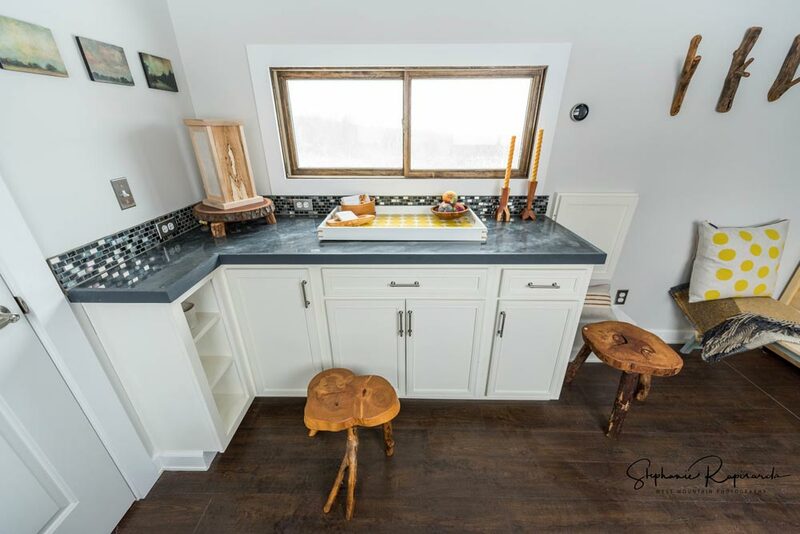 The watermarked photos were taken by Stephanie Rapsiarda at West Mountain Photography. 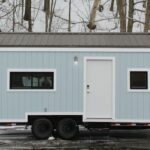 Also available from B&B Micro Manufacturing: Arcadia, Hudson, Silver Lake, Stony Ledge.